The Mediterranean Sea has often been depicted as the cradle of world civilisations. The sea is known in English and the Romance languages as the sea “between the lands”, but historically the Mediterranean Sea has gone by many names. The Romans have called it Mare Nostrum (Our Sea); in Arabic and Turkish the sea is often referred to as the White Sea (al-Bahr al-Abyad and Akdeniz, respectively); in Hebrew, it is called Yam Gadol (Great Sea), and in German Mittelmeer (Middle Sea). Since Antiquity, the Mediterranean Basin has been the centre for the three monotheisms, flourishing civilisations, migrations, the development of cultural, scientific and economic exchanges, but also for the intersections of wars. Today, unfortunately, the Mediterranean Basin is the theatre of a humanitarian crisis that has challenged the collective leadership around the sea. How can we make current challenges understandable through the Mediterranean Region’s history? 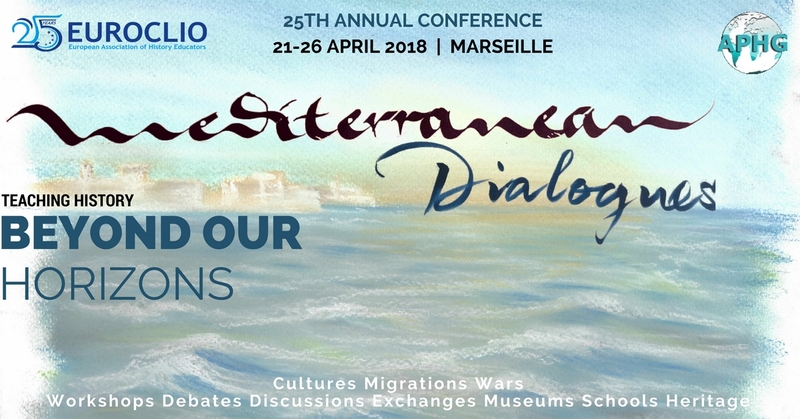 How can we work towards truly meaningful Mediterranean dialogues? Can history education allow us to look beyond our European horizons? And, how can we teach history by looking beyond our horizons? La Méditerranée a souvent été décrite comme le berceau des civilisations. En anglais et dans les langues romanes, c’est la mer "entre les terres". En réalité historiquement, la Méditerranée a connu plusieurs noms. Les Romains l'ont appelée Mare Nostrum (Our Sea). En arabe et en turc, la mer est souvent appelée la mer blanche (al-Bahr al-Abyad et Akdeniz, respectivement); En hébreu, on l'appelle Yam Gadol (Grande mer), et Mittelmeer allemand (Middle Sea). Depuis l'Antiquité, le bassin méditerranéen a été le centre des trois religions monothéistes, de civilisations florissantes, de migrations, du développement des échanges culturels, scientifiques et économiques, mais il a été aussi au coeur des guerres. Aujourd’hui, il est malheureusement, le théâtre d'une crise humanitaire qui met au défi le leadership collectif autour de la mer. 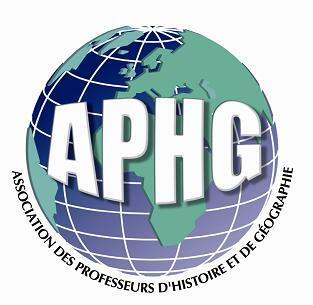 Comment rendre les défis actuels compréhensibles à travers l'histoire de la région méditerranéenne? Comment pouvons-nous travailler vers des dialogues méditerranéens vraiment significatifs? L'éducation à l'histoire peut-elle nous permettre de regarder au-delà de nos horizons européens? Et comment pouvons-nous enseigner l'histoire en regardant au-delà de nos horizons? Key-note lecture “Object Lessons in Global Microhistory: Rewatching the 1934 assassination of King Alexander of Yugoslavia in Marseille.” - Keith BROWN, Professor of Politics and Global Studies, Arizona State University. In October 1934, newsreel cameramen covering the arrival of King Alexander of Yugoslavia in Marseille, witnessed his assassination by a member of a Macedonian terrorist organization, the panic of the crowd, and the death of the gunman. Their footage was seen around the world, even as some governments censored it, and the French authorities examined it for clues on how the gunman succeeded. Today--when images of deadly violence are more commonplace--this footage offers teachers and students a unique window on an event whose political significance has been overshadowed by the global conflict of World War II that followed. In particular, it provides an opportunity to trace out how opponents of the international order created after World War I were able to capitalize on new communication technologies, old grievances and a transnational traffic in ideas, objects and money to leave a permanent mark on Mediterranean and Southeast European history. During World War II Camp des Milles was an internment and transit camp, located in a former tile factory near the village Les Milles, in Aix-en-Provence. Between 1939 and 1942 over 10.000 people of 38 different nationalities were detained in the camp, and over 2000 Jewish captives were deported to Auschwitz. Today Camp des Milles houses a large history museum with a strong focus on education and culture. The museum aims to keep the memory of World War II and the Holocaust alive, drawing on scientific research to encourage visitors to grasp the individual and collective processes that lay at the foundations of what happened at the camp during the war. The visit to Camp des Milles ties in with the key-theme “War and peace in the Euro-Mediterranean region”, contributing to a common understanding of the history of conflicts and wars in the Mediterranean. The city of Toulon is situated about 50 kilometres east of Marseille on the Mediterranean coast. It is currently a large base for the French navy and has one of the most historically important ports of the region, connecting the entire Mediterranean region. Ports serve as an important hub; they not only benefit trade relations, but also attract people of many different cultures, tying in with the key-theme of “People on the move”. Migration between all sides of the Mediterranean has shaped the region to what it is today. Steven STEGERS, Programme Director, EUROCLIO. Judith GEERLING, Senior Project Manager, EUROCLIO. Weronika KANN, European Network Remembrance and Solidarity. Theodore COHEN, Coordinator of the Model EU Project, Israel-Palestine: Creative Regional Initiatives (IPCRI). Laetitia VION, Office National des Anciens Combattants et Victimes de Guerre - ONAC. Pascal COGET, Office National des Anciens Combattants et Victimes de Guerre - ONAC. Karim HOUFAID, World War I.
Katarina BRENTANOU, Luxembourg International School. Laurence BRAGARD, House of European History. Blandine SMILANSKY, House of European History. Representative of BDIC, Algerian War Pictures. Nayla HAMADEH, Lebanese Association for History. Joan BRODSKY, New York University. Anne TABAK, International School The Hague. Ulrich SCHNAKENBERG, Specialized in History and in Political Cartoons. Representative of Northeast Asia History Foundation. Frédéric ABECASSIS, Rhône-Alpes Laboratory for Historical Research. Yves ROLLIN, President of Relais de la Mémoire. Cultural Visits in Marseille, discovering sites of Memory and examples of History Education. How do you approach teaching a certain theme? What would you like to share with a Mediterranean colleague? Designing a European Common Curriculum. Comparing your national novels. Are you free to teach certain topics or not? Which are the sensitive topics in your country? 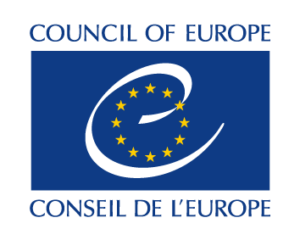 The 25th EUROCLIO Annual Conference is eligible for Erasmus+ KA1 funding. Please refer to the international cooperation department of your school or institution for more information. You will most likely need EUROCLIO's PIC in order to secure the funding. In the document below you can find a number of discounted accommodation deals for your stay during the 25th EUROCLIO Annual Conference in Marseille (21-26 April 2018). Please note that these are recommendations. You are of course always welcome to find and book the accommodation of your own choice. All accommodation with discounted rates are located in a walking distance from the conference venues in the Vieux-Port area in Marseille. As the discounted rate for our conference is only valid for limited time, we encourage you to book your room as soon as possible to safeguard this discount. The discounted rates will expire after the room slots which are blocked for our conference participants are filled. The list also includes some hotels without discounted rates in order to provide you with wider range of options to choose from. If you have any questions or inquiries, please don’t hesitate to contact the conference organizers.